My love of change has been a topic of conversation, quite regularly, between family and friends. At this moment, I find myself in a state of contentment. It is like I am in the calm before the storm. I am usually trying to plan for or decide what storm should come next so it is nice to simply be in the moment. I like where I live, who I spend my time with, and the chaos of family living. Does everyone live like this and I just didn't know it? I love reading books that make an impact. This book was so great for me because it approached marriage in the exact way parenting should be approached. That is, knowing that human nature will always drive you, but culture will always shape you. I know this is not new concept, but I finally learned that social norms are presented to me in many different ways and how I interpret them can liberate or hinder me. 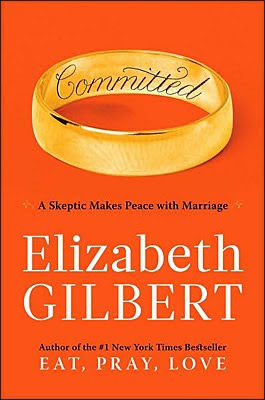 This book shows how Western marriage has always been more of a binding commitment and just recently has love played a big part. I feel like parenting is the same. You have committed yourself to raising your offspring, but becoming 100% emotionally dependent on the "love" of your children may not actually benefit you in the long run. There is more to life than being the perfect wife or mother. I am content with that.